It is great to report the successful completion and opening of St James Theatre. 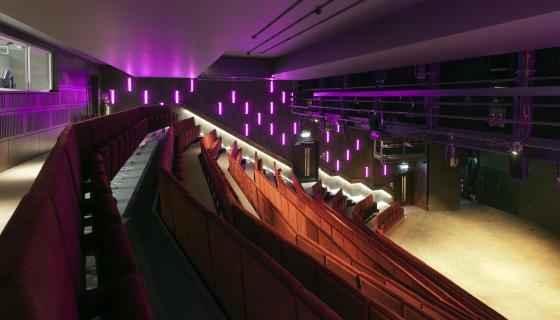 The Project comprises a new 310 seat Theatre, seperate Cabaret Venue and suporting Restaurant and Bars. Of particular note is that the performance spaces are located deep below ground floor level which made the design of the engineering services particularly challenging; especially the ventilation services. The main theatre is served by Displacement Ventilation which relies on the distribution and circulation of large volumes of air. There was much consultation with the other members of the design team to help identify suitable locations for plant and equipment in this regard. We take this opportunity in extending our thanks to the Client and to other members of the Design Team for all of their help and supoprt in helping us to complete our work in connection with this marvellous project. If you get the opportunity, do pop along and have a look, there are some very welcoming spaces and a couple of well stocked bars!